It’s Letter of the Week craft time again! And yes, we’re a little out of order this week but we’ll get back in order next week, I promise. This one just had to happen because Halloween is right around the corner! 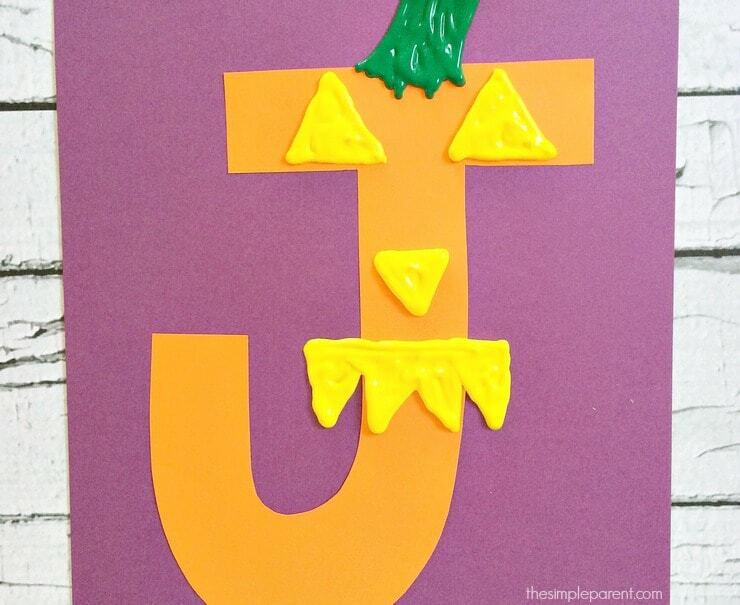 So J is for Jack-O-Lantern! 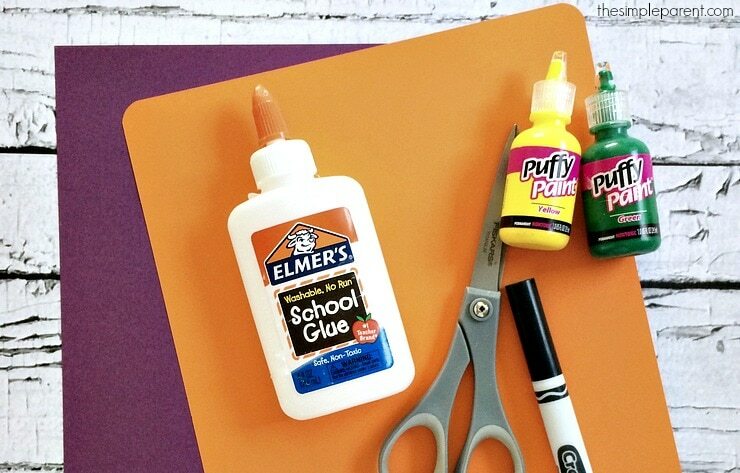 This letter of the week project involves some paint so be prepared! Grab an old t-shirt to protect clothes and let the kids have fun! A little paint is always fun! And if you’re looking for books to go along with this letter of the week, check out some of our favorites at the bottom of the post! I’ve also included affiliate links in case you need to buy any supplies or books to add to your collection! 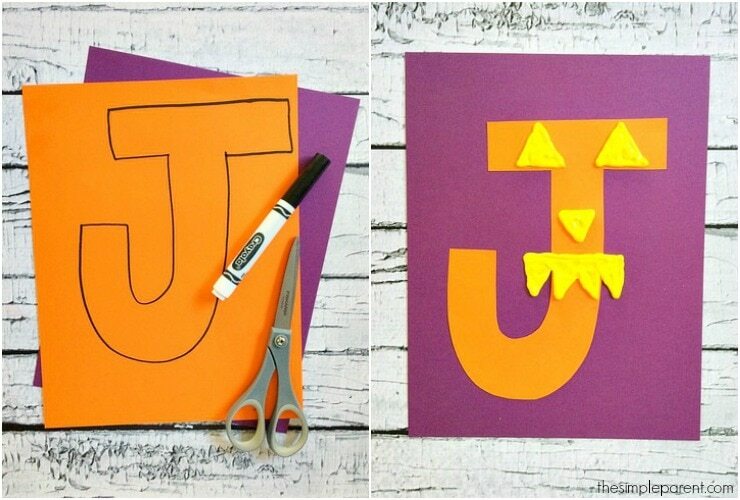 Draw a block letter J onto the orange paper. You can also find one online and print it out on your orange paper. Cut out the J and glue it onto the purple paper. Using yellow puffy paint, paint on eyes, a nose, and a mouth. If you would rather use construction paper, cut out seven yellow triangles to glue on for the eyes, nose, and mouth. With green puffy paint, paint on a stem on the top of your J. You can also skip the paint and cut a rectangle out of green construction to glue on. 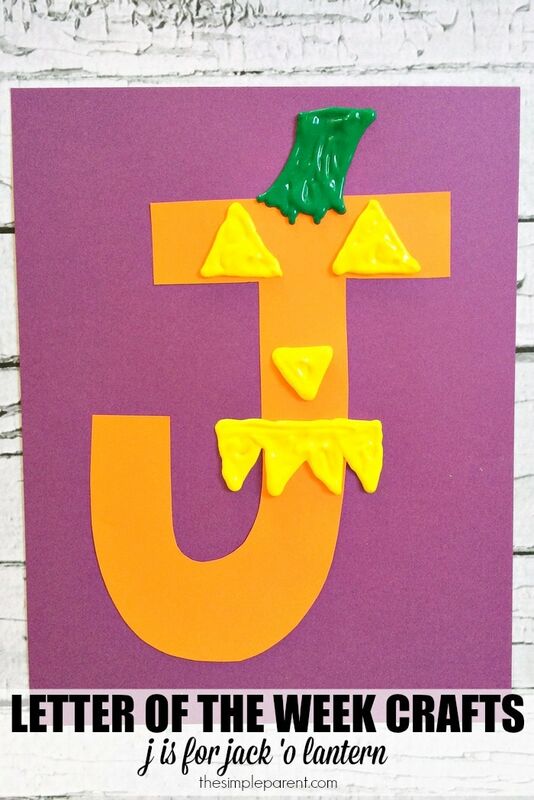 This letter of the week craft is a fun way to explore the letter J and Halloween! Some of our favorite Jack-O-Lantern books to read are The Itsy Bitsy Pumpkin by Sonali Fry, It’s Pumpkin Day, Mouse! by Laura Numeroff, and Five Little Pumpkins! This is also a fun activity to combine with carving your own pumpkin! « I’m a Little League Baseball Novice!